So as expected the fourth series will all be about traveling. The first set is called "Sightseeing Fun" and is themed after wards visiting cities and other locations. This is clearly visible with a Statue of Liberty accessory and the Eiffel Tower. I also love that cute London Bus thingy. This set contains Apple Bloom, Equestria Girls Applelack, Daring Do, Pinkie Pie and Rarity with the Brushable Hair. The second series is called Snow Day and as the name suggest, is themed after having fun in the snow, visiting mountains etc. This set contains Fluttershy with Brushable hair, Equestria Girls Rarity, Rainbow Dash, Smolder and Twilight Sparkle. MYSTERY FIGURES INSIDE: Sightseeing Fun pack includes 5 figure and accessory pairs, including 2 figures with fun treatments. 2 pairs are hidden for an unboxing surprise! TRAVEL-THEMED: Each 1.5-inch figure fits inside their adorable travel-themed accessory. 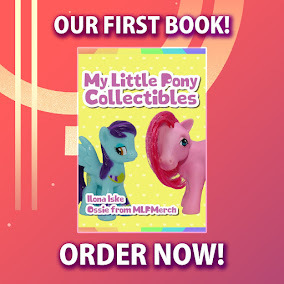 Includes Rarity pony with a Statue of Liberty costume, Apple Bloom pony with a cruise ship, Pinkie Pie seapony with a double-decker bus, and 2 mystery characters! BALLOON-SHAPED SURPRISE: Pull the strings on the 2 balloon-shaped packages to get the party started. Then, shake out the colorful confetti inside to reveal each hidden character! 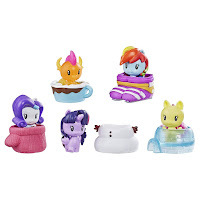 FRIENDSHIPS BEYOND THE MIRROR'S PORTAL: Collect My Little Pony figures inspired by entertainment, including the My Little Pony Friendship is Magic and Equestria Girls television shows, and My Little Pony: The Movie! 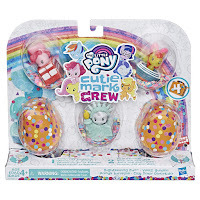 MINI COLLECTIBLE TOYS: Look for Cutie Mark Crew Series 4 Snow Day pack (Sold separately. Subject to availability). Great toys for kids age 4 and up to play with, collect, and share! Cutie Mark Crew playsets combine the worlds of My Little Pony and Equestria Girls to imagine a universe of play and friendships beyond the mirror's portal. My Little Pony Cutie Mark Crew Series 4 has an Away We Go theme, and this Sightseeing Fun pack features 1.5-inch figures ready to travel around the world together! 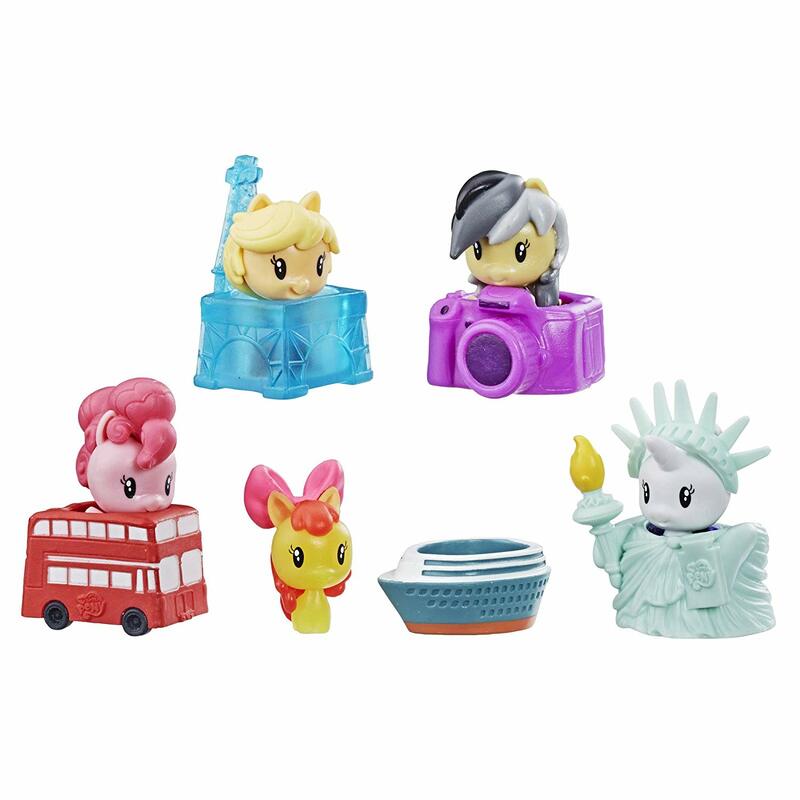 Includes 5 figure and accessory pairs: Rarity pony with Statue of Liberty costume, Apple Bloom pony with cruise ship, Pinkie Pie seapony with double-decker bus, and 2 surprise figure and accessory pairs! Get the party started by pulling the strings on the balloons and shaking out the colorful confetti to reveal the mystery pony, seapony, or Equestria Girls characters hidden inside. 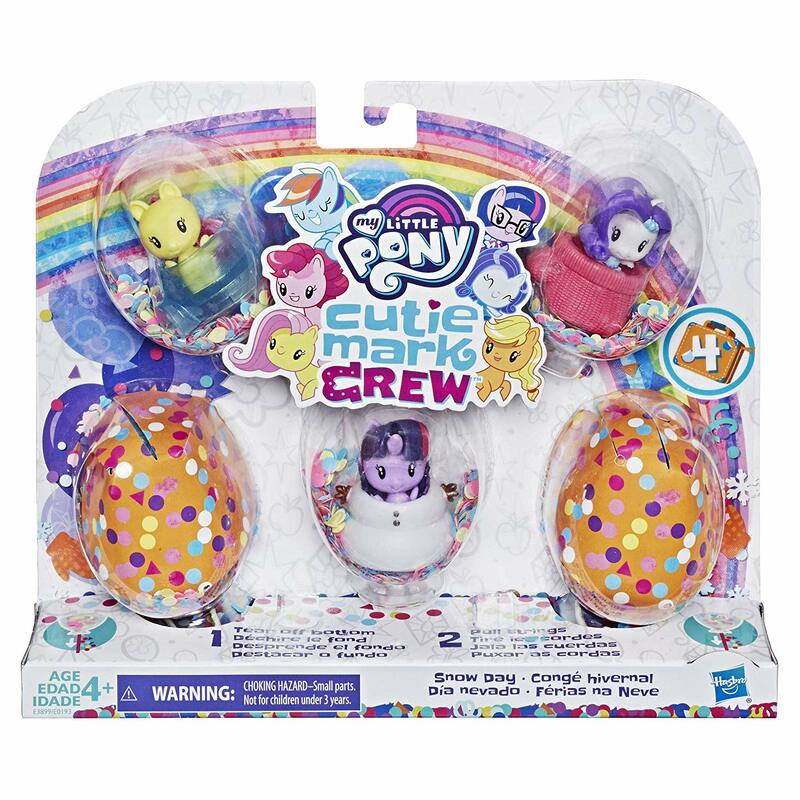 Look for more Cutie Mark Crew packs to build out a world of My Little Pony collectible figures. (Each pack sold separately. Subject to availability.) 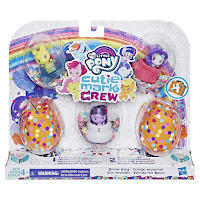 Cutie Mark Crew toys are for kids ages 4 and up. MYSTERY FIGURES INSIDE: Snow Day pack includes 5 figure and accessory pairs, including 1 figure with a fun hair treatment. 2 pairs are hidden for an unboxing surprise! SNOW DAY-THEMED: Each 1.5-inch figure fits inside their adorable winter-themed accessory. 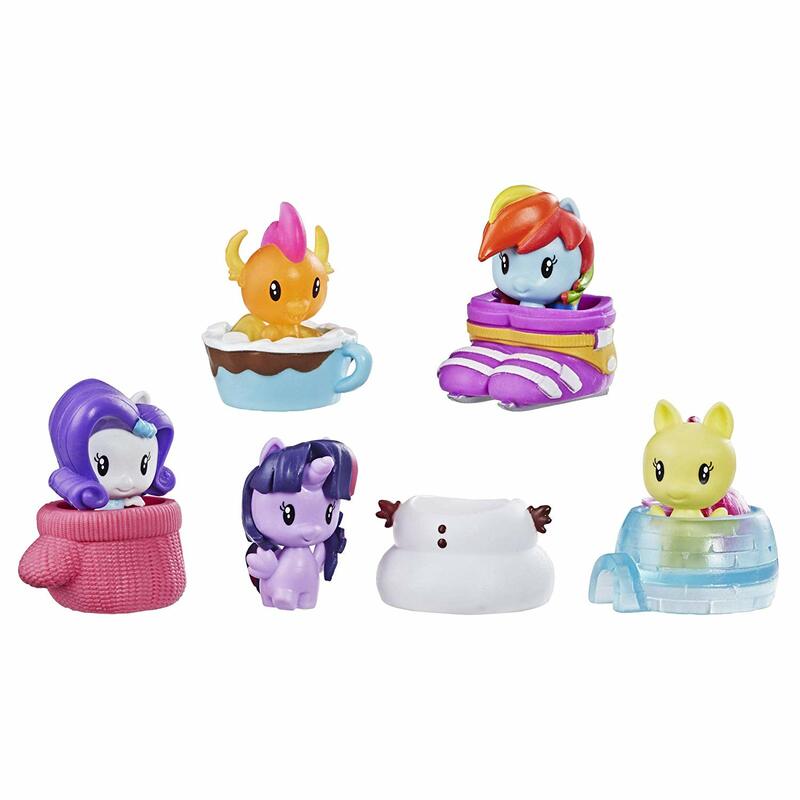 Includes Twilight Sparkle pony with a snowman, Rarity Equestria Girl with a mitten, Fluttershy pony with an igloo, and 2 mystery characters! MINI COLLECTIBLE TOYS: Also look for Cutie Mark Crew Series 4 Sightseeing Fun pack (Sold separately. Subject to availability). Great toys for kids ages 4 and up to play with, collect, and share! From what i see on the pictures i really like these. The only problem that i have is that they keep on using the mane 6 instead of using more background characters,because i would even find it less ennoying if they do recolers of the mane 6 just like the old days, And those with the brushable manes don't let me get started lets just say...there awful. This is just my opinion so don't get mad if you think differently but i stil would love to hear what your opinion is about these just don't get mad at me if im being to hard about these. Do not worry, It's okay to give your opinion, we all have the right to give an opinion, and in fact I also like the idea of adding more characters in all the toy models (EG dolls, Pony Brushables, etc. etc.)! ^.^, in that I'm not against. However, what bothers me, is ""the way"" in how some people give that opinion and the "constant" repetition of those opinions in that way in "every" topic, it is annoying, as Pinkie says, they act as party poppers, I repeat, I understand that opinion, but, hey, they are only missing to arrive with torches and trenches to make their opinions more scandalous and annoying. I agree,some people really go over the line about the mane 6 being used over and over again.I'm just trying to give my opinion and not hate because thats just childish and enoying.I'm really happy you understand that. I definitely love the fact that we are getting new molds (Smolder, Applebloom), but I also agree, I'd be happier if we got more BG characters, even as recolours or just more new characters in general. I'll definitely get the Sightseeing pack.